Great venue for a signing. I finished the book last night and thoroughly enjoyed it – it was fast-paced, a page turner, with some great characters – and scary, of course! Pat, This book is amazing. I thought that is a book wasn’t a true crime or something relating to serial killers that I couldn’t get interested but when I started reading your book I got so involved that when I wasn’t reading it I was thinking about the people involved. Thank you, Barb. 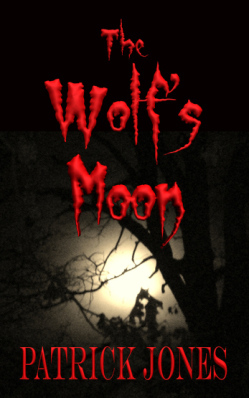 just read the wolf”s moon,what a fantastic read , once i started to read it i could not put it down, looking forward to more mike linden novels , keep up the good work . Thank you for this book! It was great to read a book with places I am familiar with as I too live in Missouri. I loved the story and am excited to read about Landsdown’s next adventure. i really enjoyed the wolf’s moon!! i could not put it down until i had read the whole book. i loved mark landsdown very much and was glad the alpha wolf did not kill him. Comment: Writing to thank the Author for a most riveting story; beautifully written. The characters are so real I will most likely dream about them … unforgettable is Mike/Mark, who (for me) is every woman’s dream. At least, women who are strong enough to appeal ~ Wolf Moon is a complete success in my opinion. My only ‘qualifications’ for opinion are the over 300 books I already own by some of the very best in the field, as well as online books I read almost fanatically – having no more room on my shelves for more. Again, please accept my thanks for an entire day I will always consider very well spent. Jan…I truly did enjoy Pat’s novel. It was fast paced and I could visualize the scenes as if I were there in the middle of the action. Should his work be brought to the theatre I think John Caviezel would make a great actor for the part of Mark. I think I will have to start collecting Pat’s work as it is released. When I find a writer who can write such a vivid story I end up collecting their books. All I will need is a larger library. Currently I have over 500 books in my library/guest room, and over 250 on my Kindle. Now to rearrange shelves to make room. My problem is I have a hard time parting with books. My other problem with books…I am addicted to reading. That is most likely why I haven’t finished my manuscript yet. Please let me know when his next work is released. Mike…Just finished reading your book The Wolf Moon. Totally enjoyed it and couldn’t put it down. Can’t wait to read the next one. Mickey…I really and truly enjoyed this book immensely! My only critism would be with the title and the author’s name appearing randomly throughout the book and a renumbering of the chapters near the end of the book. Other than that, I LOVED IT COMPLETELY! Can’t wait for the next one, Mark can’t die! Shaan…Just to say I left you a positive review on Amazon UK. Got your book through Author Marketing Club. Your book has got to be the best book i’ve picked up since twilight, keep writing and let us know when your new book comes out. Also if you want to check out my book ‘Overcome Fears And Phobias’ feel free to do so, although my area is more self-help/weight loss than fiction:) Thanks again for writing a brilliant book. Rachel …This book has kept me on the edge of my seat for several days now; the pages seem to turn themselves. The story is well written with characters that seem like old friends. The reader can identify with the characters and the setting seems so real, but I think that the setting is based off of real places. The main character, Mark Lansdowne, is mysterious and the reader learns more about his mysterious past throughout the book. 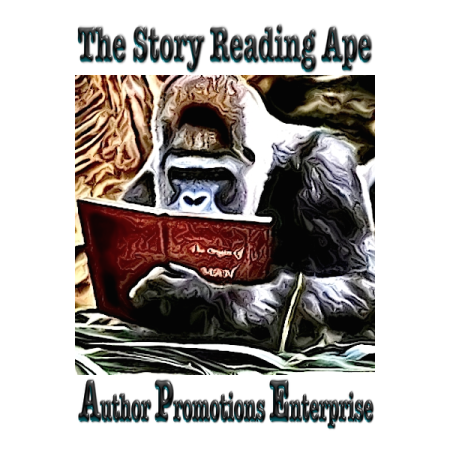 The story is formatted into short, easy to read chapters so the reader gets smaller chunks of the story at a time as opposed to other stories where you would be counting the pages left in the chapter so that you know how long you have to read before you can put it down. However, because the chapters are short, it was difficult to put it down because you can read just one more chapter after the last one. This leads to late nights of “just one more chapter.” All in all, its a fantastic read. Gail …Just finished the Wolf’s Moon the other day and it was very well written. Looks to be a great first book in the series, can’t wait to find out what happens next in the adventure! Debbie …Finished the book today ” The Wolf’s Moon” its one of those, when you start reading it you cant put it down…Action packed from beginning to end. With a great storyline, and colorful and believable characters. Its a really good read. Bruce…Stayed up too late several nights reading! I really enjoyed Patrick Jones’ “The Wolf’s Moon”. It was a very exciting book and situated in an area of Missouri near where I live. The only negative I can say about this book is that I couldn’t put it down and stayed up too late several nights reading. I’m looking forward to the next adventure of Mark Lansdowne (or Mike Linden). Mary…Riveting! I thoroughly enjoyed this book. I have to admit that while I was reading it, I experienced a chill every time my dog went out, sniffed the air and barked I found myself sniffing for a foul odor. Can’t wait for the next book. Mark Lansdowne is surely a character I want to get to know better! Sue…A Must Read! I bought the book on Saturday afternoon and finished it Monday night. 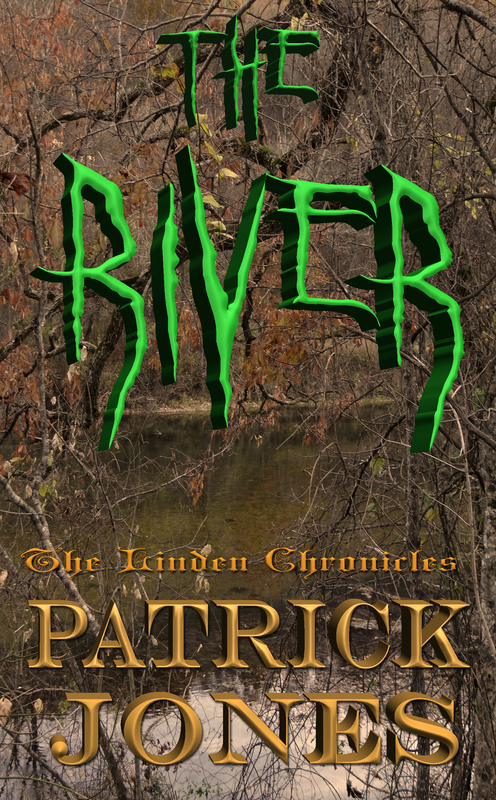 Great job, Pat, on your first published novel! I thoroughly enjoyed it!! 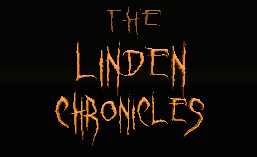 There was plenty of suspense to keep me turning the pages and I look forward to the next Linden Chronicles..
Sandy…I love this book! The book “The Wolf’s Moon” is by far the best book that I have ever read. It also just happens to be the book that my husband has just released! I know because I read it about 16 times while we read and re-read this work of art while editing! But seriously, Pat wrote this book from his heart. He has always wanted to write a book and never took the initiative to do just that. One day, he decided to sit down and write a book. I saw him write for two years, drawing his story line from his surroundings. His excitement over this masterpiece is exhilarating! The book keeps the reader in suspense throughout the whole book, with various twists and turns throughout. The reader will never know which turn will happen or when. This book is one of those books that you cannot put down. A good read that is sure to be put to the movies!! Penny…Things that go bump in the night! Love the book! The way it was written, I could see it and it makes you wonder if it could happen. Very realistic! Definitely a book that you can’t put down once it is picked up. If you are afraid of things that go “BUMP” in the night, I suggest reading it in the daylight! Ann Marie…I only put it down to make something quick to eat! I bought your book recently and could not put it down. I only put it down to make something quick to eat. I just wanted to let you know how much I enjoyed reading your book and to thank you for sharing your imagination and writing skills with your readers. I look forward to further adventures with Mike/Mark. Good luck with your future endeavors. Melanie…I really enjoyed your book! Makes one think about going out in the woods again!